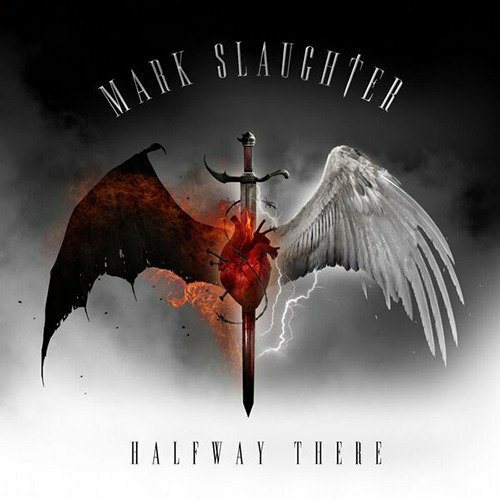 SLAUGHTER vocalist Mark Slaughter will release his sophomore solo album, "Halfway There", in May worldwide via EMP Label Group, the U.S.-based label of MEGADETH bassist David Ellefson. 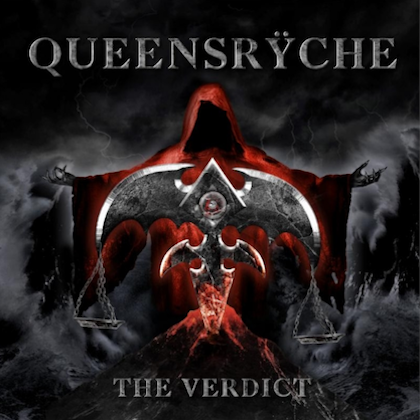 The follow-up to 2015's independently released "Reflections In A Rear View Mirror" is a stunning return to form for Slaughter, channeling the familiar hard rock sensibility of classic-era SLAUGHTER releases like "Stick It To Ya" and "The Wild Life" on "Hey You" and emotionally charged title track, "Halfway There", with a mature, progressive, metal bent, evidenced on cuts like "Devoted", "Conspiracy" and "Reckless". 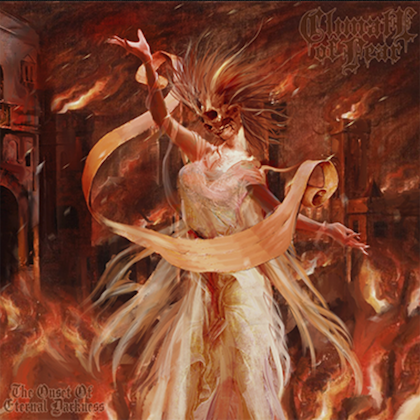 Produced and co-mixed by Slaughter with John Cranfield (AFI, Andy Grammer), with art by famed horror/album artist "Mister" Sam Shearon (ROB ZOMBIE, IRON MAIDEN, KISS, Clive Barker), "Halfway There" is slated to be released May 26 in North America by EMP Label Group/Amped, and EMP/SPV in Europe, and May 10 in Japan via EMP Label Group/Universal. 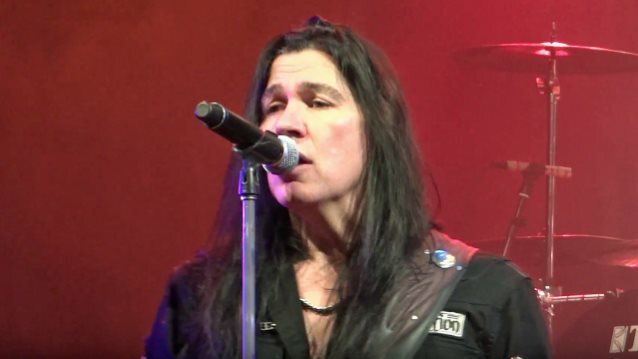 Mark will tour Japan in May with SLAUGHTER, supporting RATT, in conjunction with the Japanese release of the LP, with shows in Nagoya, Osaka, and a performance at the Tokyo Metal Summit on May 14 with RATT, SEBASTIAN BACH, ENUFF Z'NUFF and more. Not only is "Halfway There" a blistering showcase of Slaughter's seemingly never-ending vocal abilities, but a glowing testament to his perpetually underserved prowess as a songwriter and multi-instrumentalist, handling all production, engineering, songwriting, arrangements, guitar, and the bulk of the album's instrumentation himself. Slaughter says: "My first solo record was kinda getting back on the horse, so to speak. I mean doing everything and recording... I'm taking on a lot more tasks as an engineer/producer/ writer on all this… because I'm doing everything. "Ultimately, at the end of the day, anybody who is a SLAUGHTER fan will certainly understand that I am a large part of the SLAUGHTER sound and vibe, so, obviously, if you like that, it's in there. It's just that I take a lot more liberties on the solo side that I probably wouldn't do when it's a group effort." He adds: "The record is basically… I spend a lot of time writing songs and things just grow out of me.. I'll be woken up in the middle of the night from nowhere and the song's just in my head and I just exorcize the demons and there you have it. I guess what it is is an artist makes art. And I've really come to the fact that since we haven't made a SLAUGHTER record in so long, it's one of those things that I still have to make the art. That's what I do. That's what I love to do, and that's what I'll continue to do." EMP A&R director Thom Hazaert chimes in: "It's been such an incredible honor to put this record together with Mark, who, truly, in my humble opinion, is one of the greatest hard rock singers and songwriters of our generation, and, what a lot of people don't realize, just a phenomenal player as well. "We spent almost a year going back and forth about the idea of putting the record out together. Obviously, Mark and David (Ellefson) have a great longstanding friendship, so it really was an amazing fit. "From the first time I heard the working demos of these songs, I knew Mark was working on something very, very special. 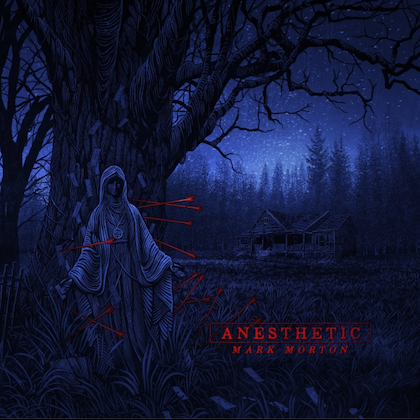 "Growing up (and still) a huge SLAUGHTER fan, I think these songs are going to not only resonate with the people who already love Mark and what he does, but carve a niche far beyond." Ellefson adds: "I have been friends with Mark for over 30 years, since he was in VINNIE VINCENT INVASION, and there's a lot of shared history. So when we started talking about the idea of putting this record out, yes, it was a great and natural fit. "Mark is such a tremendous talent and songwriter, and the scope of that is truly evident on 'Halfway There'. "We're extremely proud, and excited to have been able to partner with him on it, and can't wait for the world to hear it."